Luigi Tenco (March 21, 1938 ? 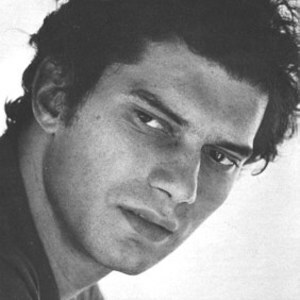 January 27, 1967) was a popular Italian singer, songwriter and actor. He committed suicide (there are of course the usual conspiracy theories) the night he and Dalida, the famous Italian-Egyptian singer, who was also his partner, were eliminated from the prestigious (at the time) San Remo Festival, when the song "Ciao amore ciao" didn't make it to the final. In his note he said that he was doing this not because he was sick of life, but as a sign of protest against a myopic jury. He was in fact one of the first Italian singer-songwriters, when being a singer-songwriter virtually meant being a freak, and was a huge influence on all those Italian singer-songwriters who became the mainstream of Italian music starting from the 1970s.